Asphalt shingles are among the most commonly used shingles for the roofs of houses in the United States. They are durable and inexpensive, and they are easy enough to install that people who like do-it-yourself home improvement projects can install them even without the help of a professional roofer. Of course, if you do not have lots of time to devote to installing roof shingles and are too cautious to crawl around on your roof, South Bend Roof Repair can install asphalt shingles on your roof for you. You probably associate asphalt shingle roofs with the age of station wagons and hot rods, but they have actually been around much longer than that. Asphalt roofing material goes all the way back to 1893, but the first asphalt roofing material was not made of individual shingles; it was more similar to asphalt roll roofing. Asphalt shingles as such were invented in 1901; that means that there were asphalt roofs on the houses of South Bend while there were still horse-drawn carriages on the road. The technology behind asphalt shingle roofs has evolved somewhat since then, but they remain a practical and inexpensive choice for residential roofs. Every shingle starts with a base mat. The original asphalt shingles had a base mat made of cotton, but today, less expensive organic materials are used. Today, you can buy shingles made from wood pulp, recycled paper, or cellulose. Since the 1980s, asphalt shingles with a base mat made of fiberglass have become more common than organic shingles. The base mat is first saturated with asphalt and then coated with another layer of asphalt. Since organic materials are more porous, organic shingles contain more asphalt than fiberglass shingles. The top layer of asphalt contains granules made of slate, quartz, ceramic, or a similar material. 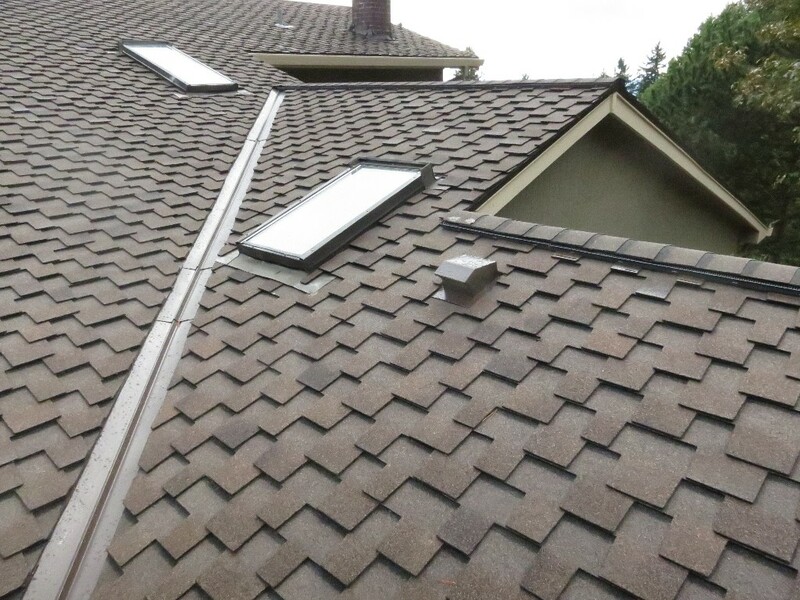 Some shingles also contain other additives to make them more resistant to damage from heat and hail and copper to prevent the growth of algae. The extreme heat and cold of South Bend can be rough on roof shingles, so we at South Bend Roof Repair will help you select the shingles that are best for your roof. Factors to consider are resistance to solar damage, wind damage, hail damage, fire, and algae. Thermal shock, that is, rapid changes in temperature, is almost inevitable in Michiana, but we will help you protect your roof from the elements as much as possible. Many asphalt shingle roofs have a 20 year warranty. We also offer premium asphalt roofing shingles. These are laminated shingles that do not have the look one usually associates with asphalt roofing materials. They are available in a variety of old-fashioned looks that resemble woods, slate, brick, and other more traditional roofing materials. While these shingles look as elegant as much more expensive roofing materials, they still fall within the price range of asphalt roof shingles. Whether you are looking for something simple and functional or stylish yet affordable, South Bend Roof Repair can fix or update your asphalt roof shingles.